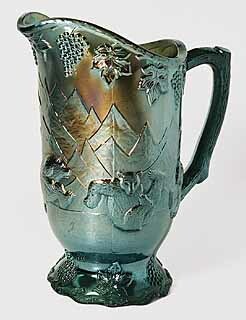 An extremely rare pattern, Frolicking Bears is known only in the pitcher and tumbler, always a sort of olive green. Both show bears in various playful poses against a mountain backdrop with grape vines, leaves, and bunches of grapes around the top. 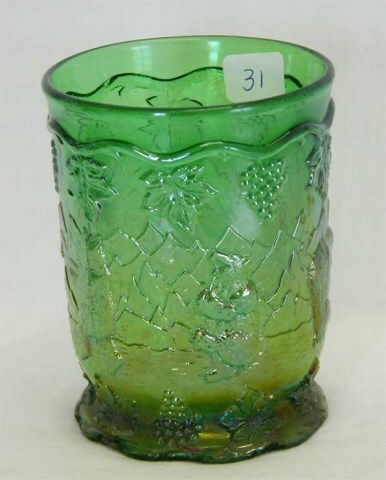 Two tumblers sold at auction in 1999, for $12,500 and $15,000. In 2010, one sold for $8,500. 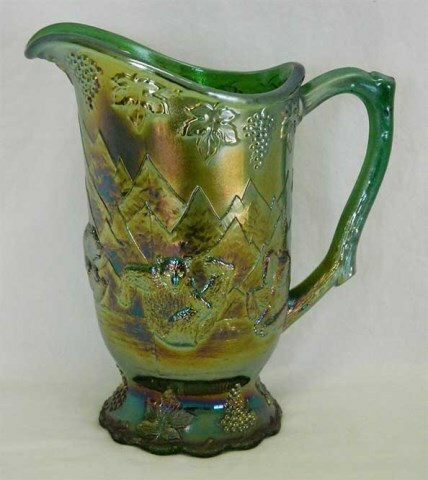 In 2014 a green pitcher brought $26,000 and at the same auction a green tumbler sold for $4,000. 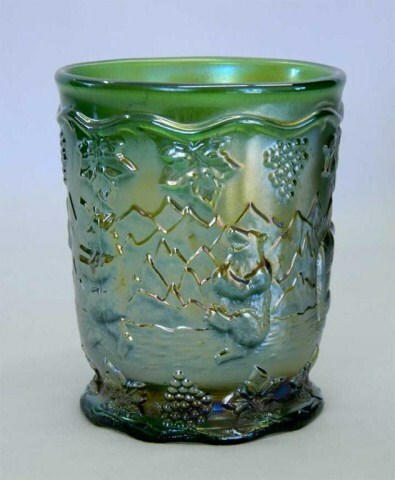 In 2014, Tom Mordini reported a ruffled hat made from a green tumbler. 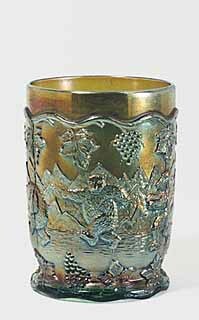 The design has been used by the International Carnival Glass Association for souvenirs.